YouGov reveal how 'quality Android tablets' affect Apple's market share. 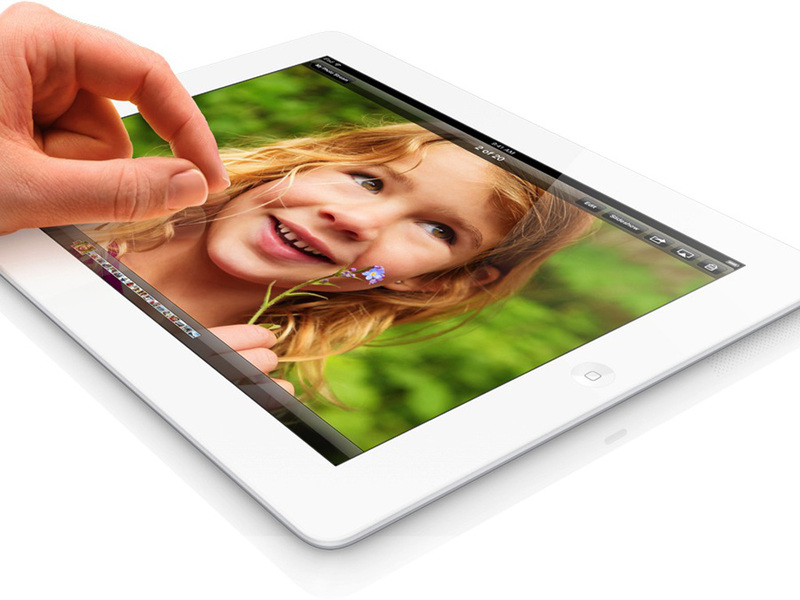 The tablet market is still very young, the first generation iPad was released three years ago and since then the tablet market has exploded. People have tried 3D tablets, they've tried 10 inch tablets, Microsoft has thrown in their 11.6" Surface tablets and Asus even made a 18.4" desktop tablet which dual-boots Android and Windows 8! So there's been a heck of a lot of experimentation, but one form factor which has hit the sweet spot has been the 7-8" arena and the other area which manufacturers have had success is by offering well built devices. YouGov have today reported that consumers now perceive Android devices as 'equal in quality' to the iPad and that these devices are starting to cut into the 'premium' tablet niche which Apple carved out themselves. The guys acknowledge that Apple is still the main player in the arena, but that also noted that the company saw their share of the market cut by 10% from Q1 2012 to the same time this year. That doesn't mean that sales of iPads went down, in fact it was the opposite, but other companies started selling more devices too and that ate into Apple's market share. According to the YouGov report Samsung has grown their market share by 150% in the past year, coming up from 4% to 10% of the market. Similarly the Nexus 7 has had the, 'most impressive' launch picking up an impressive 8% of the market in 10 months! 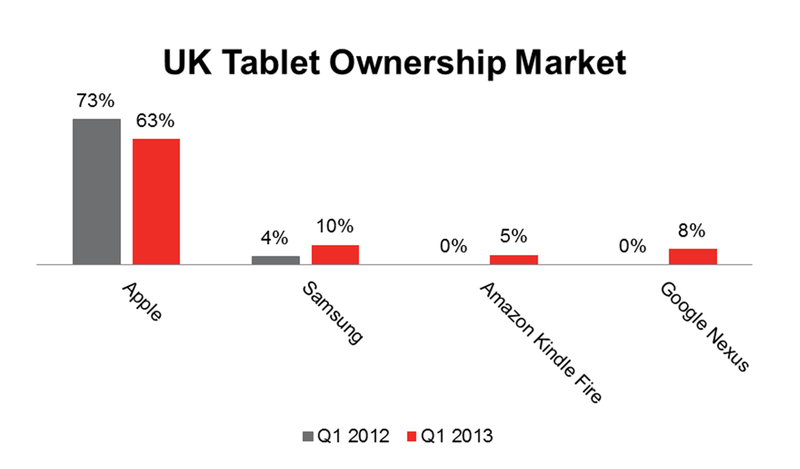 Amazon's 7" slate the Kindle Fire is now also 5% of sales here in the UK too, so that's seen very impressive growth too! The graph below gives you a better idea of how things have changed! The one thing which YouGov highlights as being good news for Apple is how resilient the iPad mini has been to these new tablets. At the moment that device accounts for 4% of the market and it consistently scores higher in the overall satisfaction polls than its Android rivals in eight of nine quality attributes which YouGov uses. On a different note the research from the company now shows that nearly one in every five people own a tablet (18%) and that's up 5% since just after Christmas last year! What we want to know is what devices you've got? Have you got a tablet or do you want one? Are you one of those people who bought an iPad or did you pick up one of these new 'quality' Android devices? Let us know in the comments below!